Marriage can be so hard. Especially when every day life gets in the way. 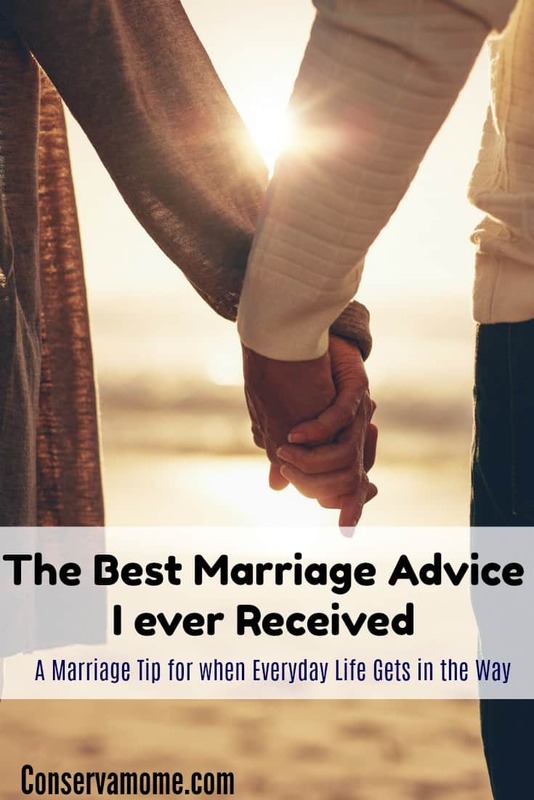 Find out what the best marriage advice I ever received was. When I was younger I had the chance to spend a whole summer with my great great aunt and uncle in Mexico. The one thing that amazed me during that stay was the incredible love they had for each other and how they both selflessly lived for one another. He would always wait until she was ready to eat before he began eating. He would always hold the door for her whenever they got into the car. It was an eternal romance. Being the questioning person that I am, I asked them how it was they managed to keep this romance alive for so long and his answer was simple, Never stop dating. I remember falling in love with that notion and putting it aside for when my time came. However, being married almost 12 years I realize how important that sentiment is for a couple. Think about it, when you start dating that special person in your life everything is so new,beautiful, & fun. Eventually you fall into comfort with that person and commit and then the kids come, life happens and it seems that special moment disappears. When you least expect it those things that you once loved about your significant other begin to drive you insane and it isn’t that they’ve become worse it’s that you’re allowing your daily struggles to overcome the beauty that started it all. Men,I get it you’re exhausted and the last thing you want to do is take your wife out for dinner. The dressing up ,the spending money etc… I get it,budgets and life get in the way. But it doesn’t have to be something over the top so much as a moment of peace between you and her. Think about it, this woman is making the ultimate sacrifice in raising your children. Day in and day out she is there holding the fort up while you head to work bearing down on the pressures of tiny lives that she alone gets so much responsibility for. So take the time to remember and remind her why it is you fell in love in the first place. Make the effort. Women,Men can be hard to get through and if you’re lucky enough to have the man that gets it, you are blessed. But speaking to most women it’s not always the case. Men don’t usually go out of their way to do those things we need, so show them that we need it. It can be hard. The struggle is real so many days but it’s important for us to take the time to tell our husbands how important this time is for our relationships. Why do so many couples struggle and eventually fizzle out? Many give the reason that they fell out of love. However, love is forever. What happens is most begin to hold resentment and in turn indifference towards that person they chose to spend their life with. So it’s incredibly important to make time for yourselves as a couple. We are so caught up in making our children the center of our lives. Parenting becomes our religion, our reason for being. Our existence, but what will happen when the kids leave home to become adults on their own? What will be of your marriage? Isn’t marriage a living,breathing thing that needs to be nurtured as much as a life? We can’t forget to have that balance. So I urge you, take the time to make the time with your loved one. Ask for help from family if you can, to watch the kids. Get the baby sitter and take your wife out, make her feel loved and most important show her how amazing it is to feel like a woman. In the end when the kids are all grown up and they’ve started their lives she’ll be all you have left and the excuses will be gone. Make sure and nurture and rekindle that love you had for each other before indifference and resentment become the thorns in your marriage. Most important remember why you love her and she loves you. Marriage isn’t a 50/50 it’s a 100% all the way on both parts and if you begin to give it the effort it truly deserves now before the problems start it will make a big difference for your future. Never Stop Dating, Always keep loving Each other. Its hard and life gets in the way but in the end it will be worth it. It’s what made you a family in the first place. Don’t lose what brought you together! Hubby & I start out each day with coffee and kisses. He helps with the housework. He even learned to love 2nd hand stores & garage sales, because he know how much I love finding our treasures. Now, he goes thru the junk and picks things out. We don’t go to bed mad, sometimes I have to tell him I love him I just want to be mad for a while, he smiles & waits for me to cool my jets. This is so true! After being together 11 years and having kids, we tend to lose the time for dates! My husband and I have recently starting dating again, and it has helped our relationship so much! Thank you for sharing this article! My husband and I decided when we got married that we would go on a date every other week. this is why so many people don’t want to get married girls change and feel like they “HAVE” their man now. I know it because I used to be one of them!! We have had a “date night” every Tuesday since the birth of our daughter (26 years ago). My mother-in-law would babysit, and we would go out. The relationship with my mother-in-law and daughter became so stron that Tuesday night became their night long after we needed babysitting, and we still make sure that we go out to dinner, or shopping or whatever on that night. I think it is important. Your great great aunt & uncle had the right idea. love this story! I think it is important that couples working at staying connected. I think every couple should have a regular date night every week. I think it is something people just take for granted, we will always be there for each other but without the dates and caring, we tend to drift apart from one another. This is verrryyy true! Good thing I found the right man! Lovely post and great advice. My friend and her husband just celebrated their 70th Anniversary. She always talks about how kind he is. “Marriage isn’t a 50/50 it’s a 100% all the way” love this! Great article! My husband and I hopefully will start again – between work and caring for our son, it’s hard to find time for just us!